Language is always evolving, accommodating for changes in culture and behavior. Ridiculous at first, new words seem to pop up every week, creeping their way into our daily vernacular. Yet it isn’t until a word is officially entered into a dictionary that the word is deemed acceptable for formal use. A new list of about 900 terms has been added to or updated in the Oxford English Dictionary just this past week. As if past additions of words like “twerk” or “selfie” didn’t indicate where the evolution of language is headed, this list has some contributions that are sure to raise some eyebrows. Some examples include bathroom break, beatboxer, bestie, DIYer, do-over, sciency, and the verb form of toilet paper. While some additions seem necessary to support our current lexicon, controversy arises over whether entries like bestie or the variations of the c-word really exemplify proper English. Many claim that these are just slang and are not appropriate words to enter into a formal dictionary. However, throughout history we see the continuous cycle of one word morphing into a similar word, which then becomes a standard part of our language. One common example we use everyday is the greeting bye. According to dictionary.com, The word originated from the phrase God be with ye, which was then abbreviated to godbwye, after which good (possibly in association with the phrase good day) substituted God to become good-bye, which now has shortened to just bye. The entries of these controversial words do not necessarily imply our culture is deteriorating intellectually. Rather, it can mean we are simply entering a new phase in history. One of the most prominent ways to recognize this shift is through the recent competition by Scrabble to let fans choose the first word to be added to the official dictionary. The official Scrabble dictionary is only updated once or twice a decade, so to make an event of it Hasbro invited fans to nominate words via Facebook. Some of the first words suggested by Hasbro makers themselves were selfie (nine points) and hashtag (14 points). 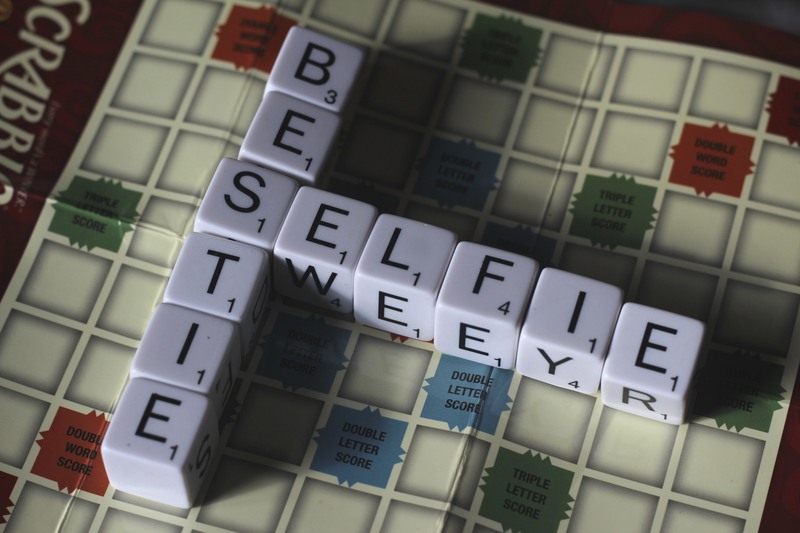 I think of Scrabble as a sort of academic game , so seeing the makers of the game themselves suggesting new additions like selfie only fortifies the new direction the English language is headed. Whether this direction is a downward spiral to the death of the English language, or just a different phase and generation in time is a relative matter of perspective.